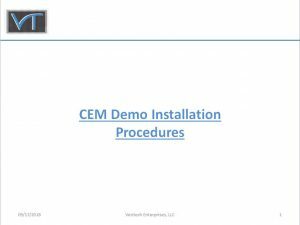 The CEM DEMO is designed to run on Windows based operating systems only. 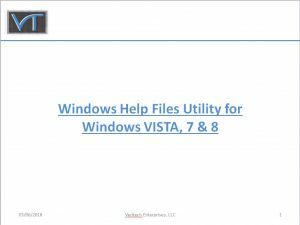 It is compatible with Windows 7, 8 and 10, as well as many of the older Windows platforms. Microsoft no longer supports Windows Help files in the newer operating systems. In order to activate the HELP files within CEDAS for Microsoft Vista, 7, 8 and 10, and additional executable file must be run after the primary installation is completed. Follow the step-by-step instructions found below, depending on your particular operating system. Right click on the “Install.txt” file below, and select “Save link as…” to save to computer as directed in Step 4 of Windows 10 instructions above. If you have any questions or issues, please contact us by email: Support1@veritechinc.com, phone: (682) 213-2378, or send a message using our Contact VTE page.